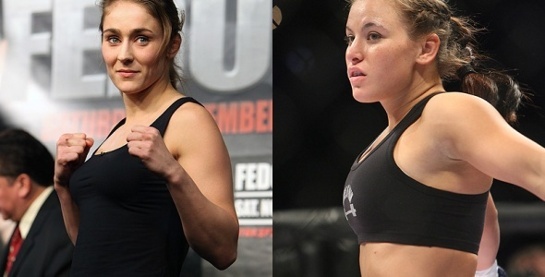 Meisha Tate preferred not to make the issue between her and Marloes Coenen too personal. Instead, she aims to focus heavily on preparaing for her upcoming fight. Meisha Tate is set to face Marloes Coenen at the “Strikeforce: Fedor vs. Henderson” card, which will be held at the Sears Centre Arena in Hoffman Estates, Illinois this coming June 30. “Now that I’m already in great shape, I can really apply a gameplan every day. I don’t have to spend my camp trying to get in shape or lose weight. It’s all about sharpening the skillset that I’ve already developed”, she added.